Neymar is confident Paris Saint-Germain will win the Champions League this year due to its "awesome team" and "genius coach" Thomas Tuchel. The Brazil star missed the first leg of the club's last-16 tie with Manchester United as he is recovering from a metatarsal injury. PSG made light work of Neymar's absence, and that of striker Edinson Cavani, claiming a 2-0 win at Old Trafford that puts it in a commanding position to reach the quarter-finals. 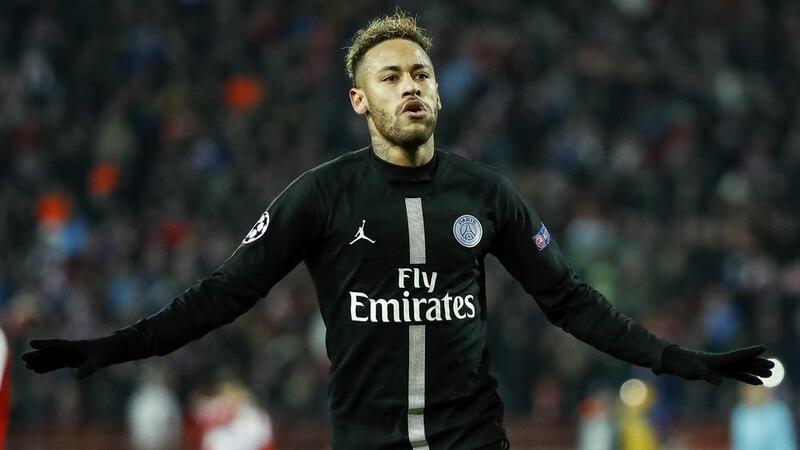 The Ligue 1 leader has yet to win Europe's biggest prize even amid the huge financial backing of owners Qatar Sports Investments, but Neymar believes its wait will end this year. The 27 year-old also expects to be fully fit to play a part in PSG's run to glory, with the final taking place on 1 June at the Wanda Metropolitano in Madrid. "PSG will be Champions League champion," he said. "PSG is not just about me - it has an awesome team with great athletes and a genius coach.